Fabulous looking Great Old West well worn Antler grip Bowie knife 13" inches and from 19th Century. 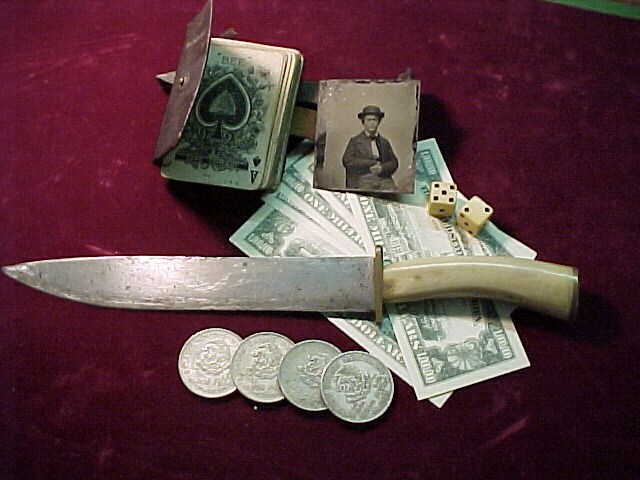 Great Old West knife to add to your collection of Knifes &/or Gambling collection.Other items shown all sold. Fabulous looking Great Old West well worn Antler grip Bowie knife 13" inches and from 19th Century. Great Old West knife to add to your collection of Knifes &/or Gambling collection. Other items shown all sold. Please email cowboyron@cowboycabin.com with questions or call 406 270-2842.